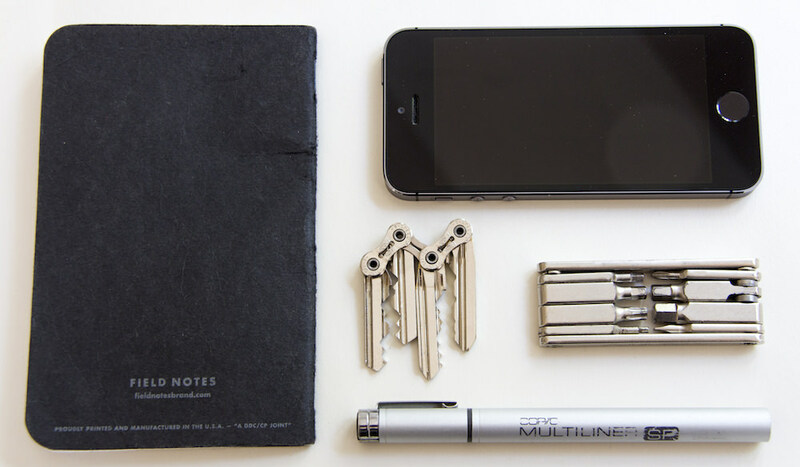 Ever found your keychain too bulky? 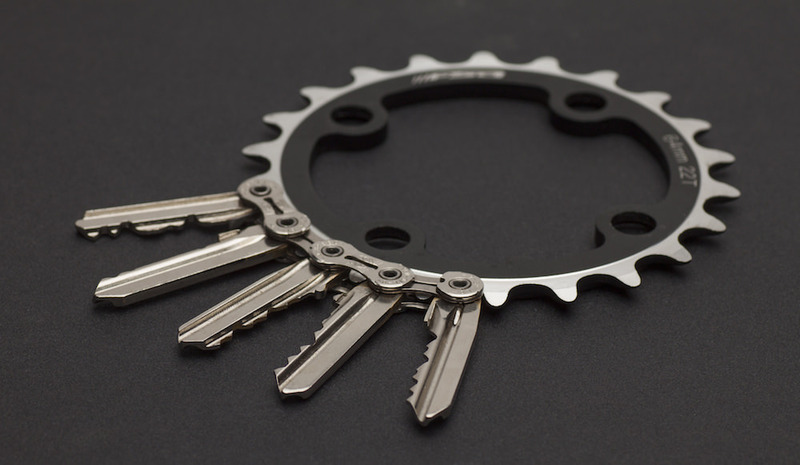 Daniel Farkas sure has, and it spurred him to create TIK, an ultra-efficient approach to our keys which involves fixing only the essential cut part of each key to a segment of bike chain. 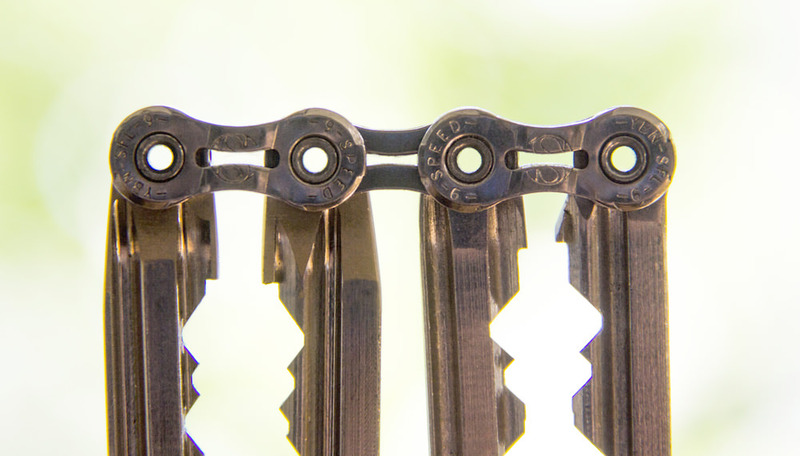 TIK in fact stands for ‘Thin Is Key’ and by opting for a unidirectional flexing medium, such as a bike chain, TIK can make what was once a needlessly 3D object 2D. 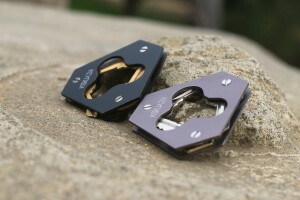 Sure the savings in size and weight are just about as minimal as the design of TIK is itself, but the slimmed down keychain can potentially fit in your wallet which offers a solution to a more pressing issue of the modern age: scratched phone screens. 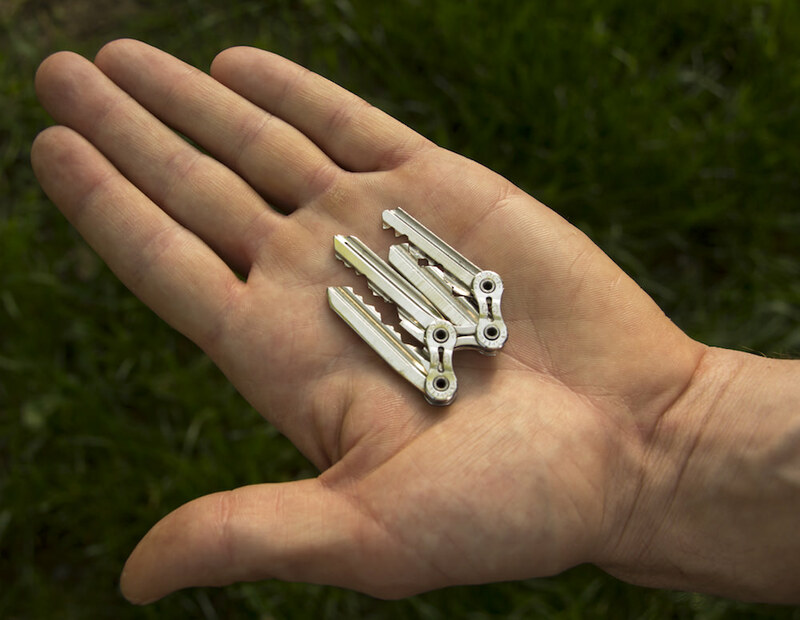 The TIK set is also less noisy in your pocket (runners rejoice! 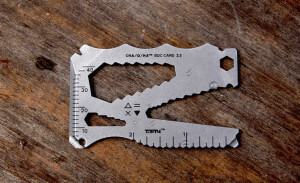 ), and the fixed linear — as opposed to cyclical — nature of your new keychain makes it easier to find the correct key in the dark through touch. 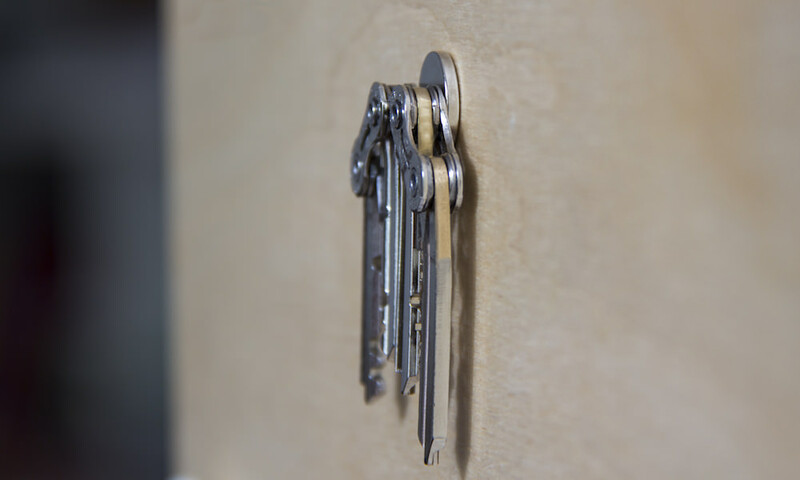 TIK is currently raising funds on Kickstarter with a modest goal of just $23,000 and for $49 you can get a TIK keychain along with 6 key blanks, a wall mount and lanyard. 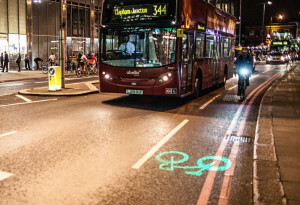 While certainly not cheap, I don’t think the company are overcharging for their product either. Currently there’s a lot of work involved in ordering both for the customer and for TIK. Upon purchasing your set, you’ll need to take pictures of your current keys and send off an order form with these attached. 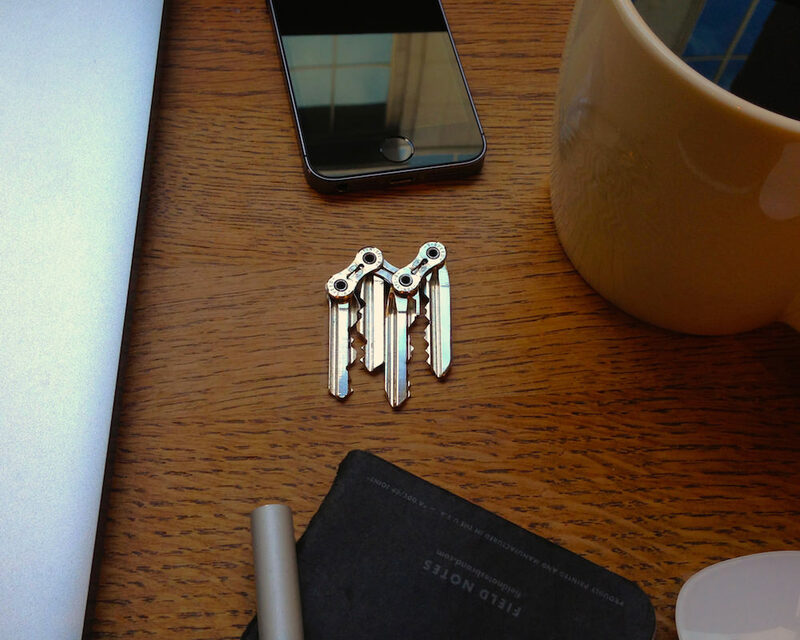 TIK will then look at your pictures and manually match up your order with the correct key blanks before assembling your chain and sending it to you. 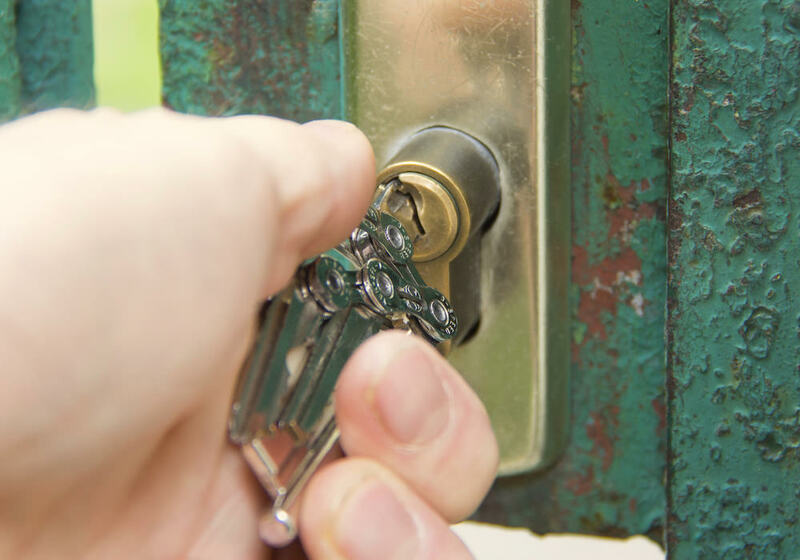 The customer will then need to take their new chain with blanks to the nearest locksmith and get them cut. The problem is that the whole process is inefficient at the moment, and won’t come close to being good value unless TIK were to become mainstream enough for key cutters to start stocking the stripped down key blanks. There’s also the issue of some key cutting machines being incompatible with these handleless versions. 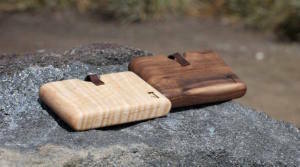 Our phones and wallets have been given the slimming treatment, now it was time for our keys. 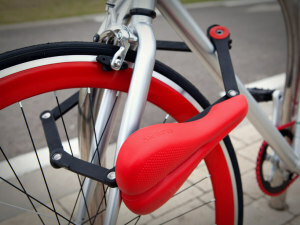 Whether other people care about their ‘everyday carry’ as much as Farkas does will determine whether TIK ultimately becomes a success — but there will almost certainly be a niche crowd of design and cycling fanatics willing to make the switch.